Dr. Andrew Mude of Kenya has received the 2016 Norman Borlaug Award for Field Research and Application, presented at the World Food Prize international symposiumin the United States on Wednesday. 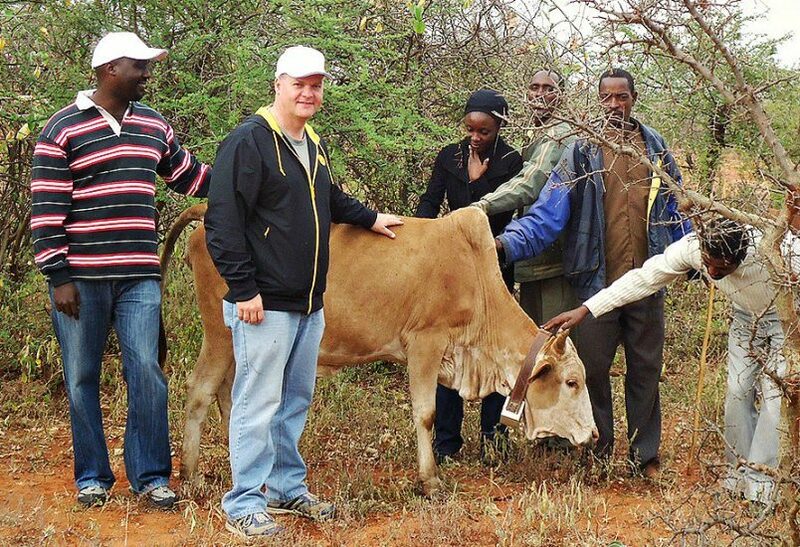 Mude, an economist and lead scientist with the International Livestock Research Institute (ILRI) in Nairobi, was chosen for his use of technology innovations in helping cattle, goat and other herders manage their operations, coupled with the rollout of livestock insurance programs in the Horn of Africa. A pilot project to extend the IBLI insurance program’s success is under way in northern Ethiopia, with southern and West Africa nations interested in exploring how it might work. Before Mude designed the new products, it was impractical and expensive for insurance claim adjusters to confirm animal losses and pay claims. IBLI uses satellite data to monitor grazing conditions instead, which serves to identify condition thresholds and payouts in the absence of visual data confirmation. The 39-year-old Mude, a Kenyan native who holds a doctoral degree from Cornell University, has received praise for his work from Kenyan government officials and the Rockefeller Foundation, which endows the USD $10,000 award. “With today’s changing climate, weather-based insurance has become a critical tool in building the resilience of some of the world’s most vulnerable populations,” said Mamadou Biteye, Managing Director of The Rockefeller Foundation Africa Regional Office. At a separate event, Mude and his colleagues also received an award from the United States Agency for International Development (USAID), according to African Science News. The World Food Prize Laureate awards will be presented Thursday to 2016 winners Drs. Maria Andrade, Robert Mwanga, Jan Low and Howarth Bouis.